At last week’s THATCamp, one of the stand-out sessions, at least as reflected by the responses of those live tweeting the event, was Mills Kelly’s session on disruptive pedagogy. You can see my Storify of the session here. As the tweets began populating my timeline, I was immediately excited about the idea of disrupting pedagogy and disciplinary values because Kelly’s ideas both validated practices that I am already using and offered encouragement for seeing just how far I can push the boundaries. Remove the tools traditionally used in a discipline, thereby refocusing attention on underlying assumptions of processes. Organic writing develops in non-linear clusters, like the way organisms develop. Calling writing “organic” is not solely poetic; it’s a concept that permits a clearer view into the pulpy, fleshy process of giving linguistic, visual, and electronic architecture to our ideas. Traditional approaches to teaching writing at best ignore and, at worst, seek to repress this organicity. The trappings of compositional pedagogy–outlines, thesis statements, length requirements, mandates regarding number and types of sources, bibliographies–seek to exert control and order over the chaotic disorder that characterizes what is essentially a subjective, creative endeavor–a disorder that grows exponentially within the digital environment. It is naive to believe that, at the same time that many of us are requiring our students to write within digital domains, we can continue to teach writing in the same ways that we did for non-digital domains. 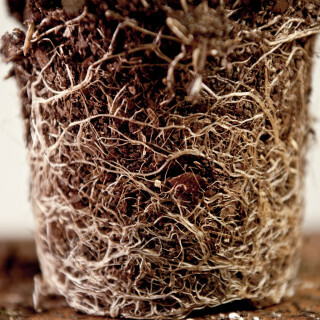 When a plant becomes root-bound, it has two choices: burst through its container or wither and die. 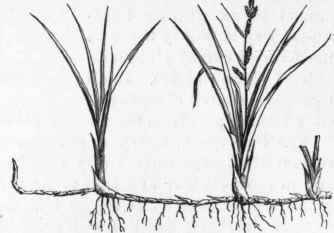 To help prevent either of these scenarios, good gardeners transplant it from its constrictive environment to a new one that will accommodate its growth; but this alone is not enough–the plant will not thrive in its new environment unless its roots are disturbed so that they can probe and connect with their new environment. It is no longer enough to attempt to transplant students’ writing into the new digital domain; if we want them to thrive as digital authors, then we must disturb the roots of compositional pedagogy. One of the traditional practices that I abandoned quite some time ago is that of “the teaching of writing.” I think that we spend far too much time talking to (or more precisely, at) students about how to write. We require them to read chapters from a writer’s handbook or a textbook on writing; we lecture about the parts of an essay, thesis statements, the writing process (a discreet linear process that moves from pre-writing to proofreading/editing), how to cite sources, etc. ; and sometimes we even quiz them on all of this information. There are several reasons why I abandoned this methodology, one being that it fails to recognize the various skills levels of the students. I found it much more effective to direct students to specific resources depending on their individual needs as writers. A student who is capable of articulating an argument and organizing their writing but who has issues with sentence mechanics benefits more from consulting resources and engaging in deliberate practice on sentence construction from the very beginning of the course (rather than having to wait for the class to get around to the mechanics of sentence construction). I have also found that students tend to experience a deeper change in knowledge about writing methods (what we’re trying to teach when we “teach writing”) when they are asked to access resources and receive instruction on skills as they are needed (one method for doing so that takes advantage of hybrid pedagogy is “just in time teaching”). A student who, in the midst of research, cannot find the information they need in the sources in which they are used to looking, will respond more actively to resources and instruction that helps them locate and explore other research options than a student who has not even started the research process. Rather than spending time “teaching” how to write (and all of the complex, interrelated actions and assumptions that the writer must negotiate in situ) or how to research (and all of the context-based exceptions and muddy points that researchers often run into), I ask students to begin the messy work of writing and conducting research. In the process, I place them in contexts that encourage cognitive disfluency: they are intellectually uncomfortable–out of their depths–but also primed for deep and lasting learning. Thesis statements: Do we still need them? Do we need to change what a thesis statement is/does? I’ve always taught thesis statements as an answer to a question. Oftentimes, students will persist in using their question as their thesis and I will dutifully remind them that a thesis must be a statement, not a question. Do I need to stop doing that? Could the students be right when they claim that a question can be a thesis and vice versa? Does the openly discursive nature of blogs, for example, place more value on questions rather than answers? Should we be encouraging students to avoid prematurely reaching conclusions before they’ve had the opportunity to engage in the kinds of debates that social media both allows and thrives on? Does it really matter if they ever reach some kind of final conclusion, especially in their freshman year? Research: What would happen if I told my students that they had to use Wikipedia in their research? Do we need to teach students how to mine social media as a source of research information (as I often do)? I often encourage my students to grapple with issues in ways that others have not or to select topics/texts that others have not analyzed; how do I reconcile this with my program’s requirement for a researched essay? Should we even be teaching research in FYC? Sources: Do we need to re-think reliability? Can a blog be as reliable a source as an academic journal? I know and read several blogs that I would not hesitate to qualify as reliable, so what does that mean for the kinds of blogs that my students are interested in? Are they less reliable because they’re not written by academics? And, if so, when I qualify those people’s arguments/ideas as unreliable, what implicit message am I sending to my students about their own value as bloggers? Are we being hypocritical when we tell students that their ideas matter enough that they should be published on the Internet but then de-value “Internet sources”? Citations: Do we still need to teach them? Do we need to change the way we teach them? How do we accommodate both hyperlinks and traditional citations (for non-open access sources)? I welcome your questions and thoughts on how much we should and/or should not disrupt the FYC classroom. How much longer can we legitimately sustain a methodology that is root-bound? How far can/should we push against the boundaries that we’ve built in an attempt to contain the uncontainable? At what point does the chaos of the rhizome that is digital writing prevent the connections that our students need to make in order for them to be able to exert their own influence on its growth and direction? Or should we encourage them to accept and revel in the rhizomatic nature of writing (and researching and learning) within the digital environment, trusting that the cognitive disfluency will ultimately lead them to become master gardeners of new paradigms?